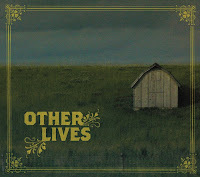 Laid Off Loser: Laid Off Loser Album of the Day: "Other Lives"
Other Lives is the second release on TBD Records. The first was Radiohead's In Rainbows. That's not a coincidence. Other Lives' soaring, piano-driven modern rock — there's even a song called "Epic" — owes a partial debt to Radiohead, and chances are this Oklahoma quintet have spent a lot of time with their Coldplay records, too. And while they're a little closer to Radiohead on the Dark and Weird scale, Other Lives trump both bands for reliance on orchestral flourish. Fortunately, as arrangers and musicians, they have mad skills. Do those skills translate to good songs? Mostly. But Other Lives have a ways to go toward developing their own sound. This debut isn't bad, but it'll probably make you want to listen to Radiohead.